While Nintendo is, to most of us, simply a games company that gives us entertainment products, it's also a global corporation that's often put under pressure to guarantee standards in the treatment of manufacturing workers and to ensure appropriate sources for raw materials. Last year it fell foul not only of a controversy involving under-age interns in Wii U manufacturing, but also came bottom of a company rankings report by the Enough Project, which graded major technology companies based on their policies for avoiding the use of "conflict minerals" in manufacturing. Conflict minerals is a term used for materials typically gathered from mines in and around the Democratic Republic of the Congo, with the miners often being forced and intimidated to work against their will. The Enough Project rated companies based on their efforts to audit and resolve conflict mineral sourcing issues, and their participation in processes to make that sourcing fully transparent. Nintendo, to date, hasn't done that to the satisfaction of campaign groups. When the issue arose in August / September last year, Nintendo pointed to its social responsibility report, quoted below, yet that was considered insufficient by Enough Project Senior Policy Analyst Sasha Lezhnev. We take our social responsibilities as a global company very seriously and expect our production partners to do the same. We ban the use of conflict minerals and also prohibit our production partners from using any conflict minerals from the Democratic Republic of Congo and adjoining countries. Because Nintendo outsources the manufacture and assembly of all Nintendo products to production partners, in 2008 we provided to all of our production partners the Nintendo Corporate Social Responsibility (CSR) Procurement Guidelines. We implemented these guidelines based on relevant laws, international standards and guidelines that focus on protecting human rights, ensuring workplace safety, promoting corporate ethics and safeguarding the environment. In 2011 we refined our CSR Procurement Guidelines in order to provide our partners with more specific directives that address socially responsible procurement practices, such as the non-use of conflict minerals and the importance of investigating the source of raw materials. Each of our lead production partners has a policy banning the use of conflict minerals. Additionally, we investigate the source of materials in our products by requesting that our production partners complete a conflict minerals questionnaire; we also require disclosure of the procedures they use to trace minerals within their supply chain. Moreover, we personally visit the facilities of our production partners to conduct onsite inspections. The intent of these inspections is to continually enforce our policies and provide feedback to ensure that Nintendo's CSR Procurement Guidelines are being followed. During these inspections we emphasize Nintendo's policy that bans the use of conflict minerals; we also require each production partner to share updates on materials sourcing and the conflict minerals issue. We continue to actively work with our production partners to monitor their progress and enforce our conflict minerals policy. Unfortunately, the company's statement looks like a meaningless piece of paper without concrete steps behind it, because suppliers don't know where their minerals come from. Guidelines are not supply chain investigations, audits, requirements to source from conflict-free smelters, or a plan to help certification. Nintendo should join the electronics industry audit program for conflict-free smelters, and require its suppliers to use only conflict-free smelters. Without that bare minimum, Nintendo is only putting a fig leaf over serious issues of war and slavery. It seems that Nintendo is yet to step forward with the initiatives and transparency that campaigners and analysts demand, prompting activist group walkfree.org to launch slaveryisnotagame.com today, a website that includes a flash game and downloadable kit for upcoming days of action. The core claim is that 430,558 have emailed Nintendo as part of a campaign, but with no response. The ultimate goal is simple, to pressurize Nintendo into matching up to other technology companies in making more vital information public and fully audited, as the assurances of the company's social responsibility report haven't proven satisfactory. It's a complex issue, but one where Nintendo seems to be behind its contemporaries in terms of transparency and clarity on its mineral supply chains. Let us know what you think below, while we've also posted two videos from the campaign site. If Nintendo issues any official statements, we'll keep you posted. People get on Nintendo's case about the minerals they use while Apple's manufacturers are still killing themselves and working so much their hands become crippled and disfigured? I agree that every company should make their products ethically, but it's just kind of funny how a company can get away with more just because their products are in higher demand. This is stupid. SONY is framing Nintendo for stuff! I hope SONY HQ executives go out for lunch and get food poisoning so that they keep poop'n! @DerpSandwich Say what? I have heard a ton of criticism about Apple regarding its workers and production methods, moreso than other manufacturers. I would say that Nintendo tends to get off pretty easy. @Dr_42o Do you have a link showing that http://www.slaveryisnotagame.com/ is a Sony front? If so, please provide it. In this area Sony and Apple were praised for their progress, this campaign is in relation to Nintendo finishing bottom in the report that's cited in the article. @DrKarl I know people do give Apple crap, but it doesn't sound like it changes much. Why would they have to change when people still buy their products by the hundreds of millions? You know what they did when all those factory workers kept killing themselves? They put nets around the building. I haven't heard anything 1/10 as bad as that coming from Nintendo. You got to realize that if it was Sony, MS, or Apple ranked on bottom instead of Nintendo, then you'd really be grilling them. Wasn't there something very big about something like this in regards to Sony's Playstation 3? I remember it being a pretty big issue back then. Why can't Nintendo get a break? It's bad enough people care too much about the power of PS4 & XBOX ONE to rub in our faces because Wii U is weaker, but now you have to go make Nintendo seem like the bad guy for doing the very same thing Apple, MS & Sony do? I don't think some of you guys realize the horrors involved here... If the other guys out there — Sony, Apple, whatever — are able to keep better track of this sort of thing, why can't Nintendo either match or beat them? I'm sorry to say this, but Nintendo probably has almost the least influence on slave labor. If the local government where the atrocities happen doesn't take action, no corporation can enforce anything. It is the government's job to protect its people and enforce labor laws, not companies. At their base, all companies are rightfully out to make a profit. That makes them a fundamentally inappropriate avenue to address labor problems. Even the best intentioned companies can only work within the law. I bet most tech companies use the same sellers. This article is ridiculous. @theblackdragon track? Apple has their phones made by preteens in China and they aren't free. @DrKarl Dang, I thought I read that Apple were the ones who came up with the net idea, but I guess that source was wrong. Color me incorrect! @rmeyer: I understand that, but Tom mentioned that apparently Sony and Apple have been praised for their 'progress' (i know, i know, it's all relative unfortunately) while Nintendo is at the bottom of this list; that's what i was going off of with my comment. If Nintendo is ranking lower than Apple with regards to this sort of thing, something is seriously whacked in terms of their production partners and/or their supply of raw material. I would expect Nintendo (or anyone else for that matter) should be able to either match or exceed Apple with ease. There's a lot of problems with these kinds of articles and groups. First of all let me preface it by saying that yes there are real problems in the world and real abuses of people. However, very often people project an entirely unreasonable standard of living on others. Notice how immigrants to places like europe and america typically work so much hard, and complain much less, in much worse jobs than natives. It's because even the absolute worst conditions in these countries are way better than what they come from. It works the same way in developing countries. Often times these jobs we consider deplorable are dream jobs for the citizens of those countries. My family does a lot of work building schools and other buildings in africa, mostly in rwanda because we have strong contacts there. Their attitudes about work are just completely different from ours. Again I'm not saying there arn't real abuses in the world, it's just usually the situations are much more complex than these groups tend to portray. Generally this is because what matters is that you care not that what you do actually helps. Finally one last point, I don't want to get overly political in this but we have governments making laws and imposing taxes on their first world countries making it way more difficult and way more expensive to manufacture, mine, drill, or do any other labor intensive job. They also have all their free trade agreements so they won't impose any tariffs or embargoes on imports from these countries. I'm not trying to let any of the companies off the hook, it's just the world is a complex place and often things are presented much to simply in order to manipulate people who don't think to hard about it. why can't the poor kids keep their jobs? It's awful that companies use conflict minerals, but they can get them at a much cheaper price than minerals obtained by more legal methods. Business is business, and Nintendo just wants to make as much money as possible. It's sad, but true. I still support the Big N, but this is a big no-no. You could attribute this to the cost of technology progressing faster than ethics. I'm sure most of you don't want to participate in or promote slave-labor, hence we decided globally to abolish it. We could argue that wage-labor is next to be abolished, as I think it should be. Most people do not have the luxury to work towards their own creative aspirations and must grind out a living for basic necessities, but that doesn't mean this is the only way we can maintain an economy. These things take time and awareness. I'm glad that NL is giving issues like these some attention. Nintendo is doing what it is legally obligated to do as a corporation, increase share-holder profits. The citizens create the laws (ideally). What's scary is giving any sort of citizen power to corporations like Nintendo, Sony, Apple, etc, which as most would agree, do not have our best intentions at heart ($$$$). @startropics3 one thing to keep in mind though. I don't know all the details but it's best to avoid knee-jerk reactions to something. These groups can say and define whatever they want. It's like when someone tries to reduce say the education budge all you hear is "so you want to deny education to kids. Everyone this guy wants to deny our kids education lets stop him." I can't say for certain that's what's going on here, and I'm sure to some degree what they say about these companies is true. It's just I know the way these types of groups use the logical fallacy of bifurcation to manipulate people. You just accuse someone of doing something awful and people don't look any farther than that. Again not defending this practice, just saying the truth is likely a lot more complex than the simple A or B being presented. Their not trying to 'blame' anyone directly but trying to ensure some accountability to keep check that their vendors are not openly using slave labor, and if they are to use different ones so to keep from soliciting with those groups/governments/whatever who supply things this way. In theory everyone is under scrutiny no one here is singling out Nintendo because they like Playstations, don't be ridiculous. People are just trying to do the right thing and Nintendo just needs to show some effort. It's not a moronic gamer conspiracy, these are people who actually go outside and do things. @Dr_42o Please stop w/ the conspiracy theories. It's ridiculous. Hopefully this changes. One day, I hope things like this will be a thing of the past. Bear in mind, and it's the point made in the article, that the campaign is to get Nintendo to sign up to the same policies as the likes of Apple and Sony, and show transparency. There's no exaggeration here, the article tells it as it is. All companies have poor records in various areas, this is an area where Ninty's very weak right now. I'm ok with transparency I just don't like how this is guilty until proven innocent. Truthfully I know how large international companies work and so nintendo probably is using material gained in this manner. I don't view them as some angelic group, and yes I agree they should stop. I just don't like the guilty until proven innocent where you could accuse anyone of practically anything and say "all you have to do is sign up for this or that thing that we're pushing." Keep in mind there's probably a lot of people on the end of the audits and such set to make a bunch of money as well. So accuse, get them to agree to it, and reap a fortune. These things just all rub me the wrong way. Lets go document real abuses happening in an organization and pressure them to stop, not fantasize about what they might or might not be doing. I don't know anything about other companies, but I'm sure Nintendo won't allow slavery as part of there production lines, or at least wouldn't let anyone know about it; if not for the slaves, then for their reputation. As far as I know, which isn't much, mind you, if someone found proof of any of this, and made it known to the general public, then Nintendo would likely stop. It is an extremely complex topic to address. For starters, these companies may be aware of the ethical issues found in their manufacturing lines, and therefore they must address these issues. I am sure most of the companies must be aware of these problems, but there are many factors that hinder any progress, mainly due to the laws and taxes imposed by the governments from their respective developed countries. I do not want to go further from political aspects, but it is up to both governments and companies alike to counter these issues: after all, it is not the kind of reputation to hold. Transparency is the key to success, and while Nintendo may be transparent in certain areas, this is one where it certainly must be addressed. On the other hand, people need to raise awareness about these issues without criminalising them. You cannot tell and criminalise anyone who buys and uses a certain product to stop buying it because that company is not ethical enough in their production policies. I mean, you cannot say “Hey, whoever bought an iPhone, look where they come from!” and point out Foxconn, while you have a Galaxy S4, which basically comes from the same manufacturer: you will end up looking yourself like a hypocrite. Whatever device you use or even the computer you work with could have been manufactured in the same conditions. In other words, barely any company is free of guilt in that matter, but it is important to raise awareness between consumers without criminalising them. As far as I know, very few seem to be in process to change their production lines to their home countries: recently, Apple announced their new line of Mac Pro computers will be assembled in Texas, and hopefully this will mean many of their products will progressively move back to the USA. Nintendo, alongside with many others, could invest money to bring their production lines to Japan, as well as promoting new jobs to tackle unemployment nationwide as well. Yeah, Nintendo release just a piece of paper. Because International Laws are not on paper. Nintendo can't do laws? What does they want Nintendo to do? Why everybody wants Nintendo to do something about everything? Aren't there governments for that? Nintendo is not the law. Make goverments ditch the 2001 law that made a lot of countries have an open border, duh. I feel that you are doing the same thing to the activists that you claim they are doing to the corporations. You may be right, but without providing us proof, you are declaring them guilty. Instead of speaking about "these groups" in generalities, please dig into one of them, and show us their deceptions. Please stick to news on games. I can read the rest of the news on Drudge. Nintendo does need to improve in this area, no matter how you look at it. "This is why capitalism must go down as fast as possible..."
No capitalism, no Wii U consoles. Nintendo have historically had a poor record in this regard and refuse to show any sort of transparency. I don't know why some of the comments here are so defensive. It's a pretty selfish attitude to say it's not my problem and just to sweep it under the carpet. Maybe these activists should be addressing issues in their own countries first...We have a problem w/ homeless, drugs, and crime. I wonder if any drug dealers or crime lords "supply chains" are riddled w/ intimidation and slavery? I haven't read enough about the issue and honestly don't care to, but if this is SO wrong, what's being done to change it at the source? Just telling Nintendo (or any other company) to audit their supply chain won't shut down these mines. An audit also won't stop every outsourced company from finding a loophole or working harder to conceal their own practice. It also won't stop the people who are exploiting their own people to work them. Are the activists targeting the outsourced companies that are receiving and distributing? Are they appealing to the leaders/governing body in the Congo? Is the governing body there the problem? Edit: Those are serious questions, not sarcasm. There was something in the news a long while ago about Starbucks coffee and how much the workers were paid in other countries. What I didn't see, was the education of the workers, the average salary of their citizens, employment rate, etc. People think stuff like this is wrong, but only pass responsibility. Groups tell other groups, YOU have to change it. Pfft. If the people in charge of their respective countries don't see enough "wrong" and let it continue, I don't see how the changes demanded can TRULY be made. On the flip side, if you stopped receiving any diamonds, any materials from the Congo... what then? There would be even more conflict, less money, increased poverty, famine, war, disease. It would be human rights abuses of a different kind. While I applaud these people for trying to do the right thing and protect human rights, their approach will not solve any problems. The UN should probably grow a pair and go in there and the international community should chuck some money in the place and implement better government, infrastructre and education. 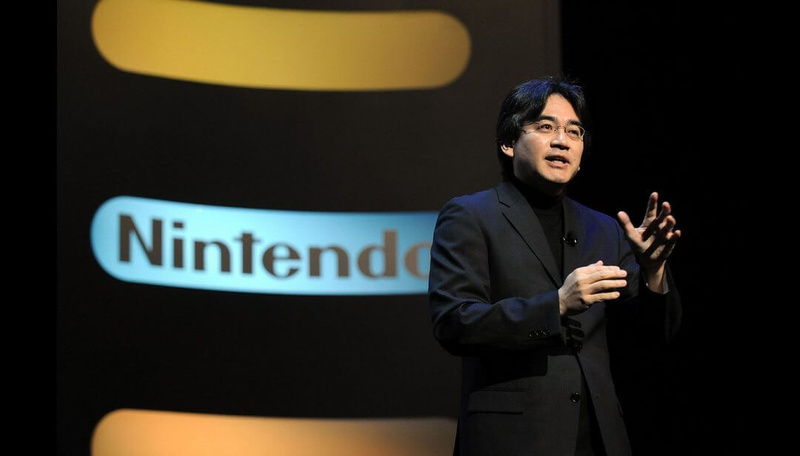 That's Reggie's personal Gamepad in the pic above, as Iwata looks on admiringly. This is a problem much bigger than Nintendo. While many here seem to be appeased because everyone else is doing it, that does not make it ok.
@Kaabiitorori Welcome! People who make well considered and thought out comments are always welcome in my book. @pc999 Because in the least capitalistic areas of the world people are being forced to work? (I'm talking about the conflict mineral miners) Forced work is the opposite of capitalism, and is illegal under a pure capitalistic system. If you do care about stopping this, then you need to make it illegal with forced work in Congo (not an easy feat). Once you have made forced work illegal, which is the same as not taking from people the values they produce (stealing), you basically have capitalism. I'm glad Nintendo Life do these articles. They certainly don't have to...and it would be much easier to sweep issues such as this and the Foxconn ugliness, etc under the rug... but it's important to show the 'good' and 'bad'...the TRUTH. What i'm seeing in these comments is literally... "i don't really care"..." Who cares"..."Wow i could seriously care less".. that's just in the last 10 comments.. I feel sorry for you, that you lack even a basic sense of human empathy to see the world beyond your own narrow interests...but hey, at least you've got your gadgets at a cheap price right?? I do not think Nintendo should stop hiring underage workers. The only reason an underage worker would work, is because it's better than any alternative. Nobody like the image of children having to work, but for most of human history, that is what they had to do to survive. Life is hard, and it is an absolute miracle that most of us are wealthy in the west now. Child labor naturally ends once people in general get wealthy enough that it is not necessary for survival any more. (In the west, we are just wealthy enough for a ban to not kill people, however the ban still makes children slaves to their parents). I do think Nintendo should do something to end the use of conflict minerals. However, as long as forced labor is possible in Congo, it is not going to end by refusing to buy their products. It will most likely make it worse, as they are more isolated, they will work their slaves harder until they can offer prices so low that some other company will buy it and try to keep it under wraps. The only realistic thing to do is to try and change Congo laws, culture and governance. I would hope this is achievable without a war, but I'm not so sure, and even a war would most likely fail, as people today in the west are not realistic about how dictatorship and slavery comes about, or even what it is. So what should Nintendo and we do? Nintendo should support a realistic plan to make forced labor illegal in all forms (btw., this includes forced military service or other national service, taxes on production, central banking etc.) in all nations. Why should they do this? Because it is in everybody's own interest in the long run to be principled and have self respect. Self respect can only be had by a man who knows that he is doing what he can to live by creating value and trading it with others, and not by consuming what others value without offering them something they value more in return. Now, most people actively vote for the opposite of this in many places, so I don't think such people will develop a realistic plan for ending this in Congo. They will just come up with something ineffective that makes them feel good for a little. @timp29 You could use invasive tactics to reform the Congo's government, but then it's open season on any other government, especially those in the UN. Only thing that matters: Nintendo's stock has done very impressively this week. For anyone who cares.....I know that's probably very few of you, but there's a great documentary on youtube entitled 'The Ravaging of Africa' that's very much relevant to this issue, and at a broader political level regarding the historic Western dominance of Africa. Couldn't. Care. Less. This is like PETA's rankings and other green groups' rankings. All you people should care just a bit, after all, we're talking about other human beings being forced to work. Should Nintendo do better? Yes. However, it's not as if once they stop, the issue is fixed. Regardless of your position, the underlying problem is not any of these companies using Conflict Minerals but the country of origin's situation. They should focus more on changing Congo's current crisis than getting companies to embarque on a boycott. It's like putting a bandaid on for a mental wound. Seriously. As much as I love Nintendos games, that doesn´t make the company free from faults. I really wish Nintendo would create products without unethical labour, and thet thay could be transparent about it. The same goes for Sony and Microsoft, but this article is about Nintendo. I'm also quite shocked. What's the matter with some of you people? Many in this conversation are also using Apple and Sony using FoxConn as an excuse. While this article mentions FoxConn, that's not what it's about. It's about the slave labor in the Congo. The reason why Nintendo scored at the bottom, with a score of 0, is because they refused to respond to the Enough campaign's survey. I really do hope that they can resolve this. I hate that buying a Nintendo console is indirectly supporting slave labor . This is a serious issue and I'm glad people are clamoring enough to create a change here. Nintendo and Apple both use Foxconn for manufacturing (in fact so does Sony, Microsoft, and many other electronic companies). I think that Nintendo should hire an industry auditor for the mineral issue as well as other social issues concerning manufacturing but on the large scale that is not going to change much. Foxconn does not at all have a good history with social responsibility and many other international manufacturers are the same or even worse. Ultimately, the governments have to put laws in place on these mineral issues and other social problems like labour and the environment; and countries like China are notorious for either not making strong enough social laws or not enforcing them at all. Companies from countries with higher social standards like Nintendo and Apple have to play their part (which is why Nintendo getting an auditor would set a good example) but ultimately the public sector of the countries doing manufacturing have to set stricter boundaries for the manufacturing companies. @Chunky_Droid They're uneducated on the subject, and caring without knowing what you're caring for is dangerous, and perhaps stupid. If they do know the subject and don't care, bare in mind, your exact moral standards don't apply to anyone but yourself. As one might be against slavery but all for the death penalty, or any other example of conflicting ethnicity. Not to mention the internet breaks the barrier of expected cultural specific common sense, morals, and ideals. Yeah everybody, lets just not care at all that people are dying to make the products millions of people use today. Seriously, what is wrong with you people? @3dsFanatic4419 People dying to make the products millions of people use today is not the problem people are seeing. People living to make the products millions of people use today is the problem people are seeing. No, I don't mean people as in the people you claimed had something wrong with them. I'm talkin bout the movement and such. @3dsFanatic4419 The phrase "what's wrong with you?" used when someone does something you seem inhumane, nonsensical, or lazy is distasteful. It implies something's wrong with one because they don't meet the expected standards of another. Doesn't it sound like the person saying "what's wrong with you?" is acting superior? "what's wrong with you?" doesn't always imply negativity. Just in certain circumstances. Such as the use of it by many of the ethical users above. I'm certain they don't mean the implications brought with the saying, but I hope they keep what I've said in mind. @HeatBombastic: There's a distinct difference between giving a crap and having an actual ability to do something about it. Working in an egg farm as my first job, the treatment of the chickens there was completely inhumane, but completely legal to do in Australia (at least, at the time, since then restrictions have come in but still not ideal). But you know, I was from a poor family, there was nothing I could do about it, I looked for other work so I didn't have to be subjected to it on a daily basis because it made everyone at work incredibly sad every day, not an ideal environment. These workers would be placed in similar positions, having to do something because there may not be another choice. Doesn't mean I care any less about them, I just don't have the resources to, you know, change the culture of their country or convince Iwata that something needs to be done. So yeah, to say you don't give a crap about poor working conditions in other countries is a pretty harsh thing to say. All I said was that I was shocked, by saying they don't know the subject implies that they didn't read the article at hand. Thomas put enough there to at least show everyone what's going on and come to a decision. It's definitely surprising to see that Nintendo ranks so low. However, it is the world we live in, and is no reason to put shame on the company. Everyone does it, and quite frankly, most companies that try to be better at illegitimate labor most likely do so simply for good PR. That's not to say I do not value the lives of those forced to work in the mines, but I think changing anything will take a lot more than getting angry at a company that doesn't handle the situation quite as well as others. I'm so glad that Nintendolife has covered this issue. This is a real issue effecting the lives of real people, this isn't just some 'fling-dirt-at-nintendo' article. All the defensive fanboys not caring about such an issue or calling this a Sony conspiracy should be ashamed of themselves. Nintendo is a company that creates good games, but that doesn't mean that they are free from fault. They're a gaming company, not the messiah. If you truly cared about Nintendo then you would protest about this issue and would help make it a more ethical company.